We’re excited to be chosen as a 2018 Cool Vendor in AI for Conversational Platforms. Each year Gartner examines and identifies emerging vendors that application leaders should watch “in order to take advantage of the disruption they will bring to all markets.” As brands and developers figure out how to leverage chatbots and voice applications for customer engagement, Dashbot offers actionable, advanced insights to optimize conversational experiences and conversions. Dashbot is the leading conversational analytics platform that enables developers and brands to increase engagement, acquisition, and monetization through actionable insights. In addition to traditional analytics like engagement and retention, we provide bot and voice specific analytics and tools including detailed session transcripts, NLP optimization, and conversation paths. We also have interactive tools to take action on the data, like our live-person takeover, broadcast messaging, and audience builder. If you want to analyze and optimize your chatbots or voice applications, shoot us a note at [email protected] so we can help you! Learn what makes Dashbot valuable to brands and developers building conversational products here. 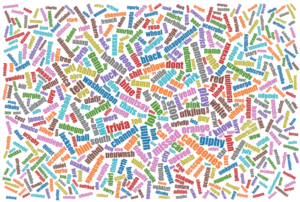 What are the most common words your bot receives or sends?